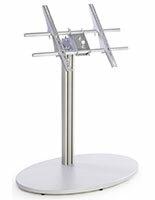 This Inexpensive Monitor Stand Designed for 70" Televisions is Sold in Bulk for Use at Airports and Malls! 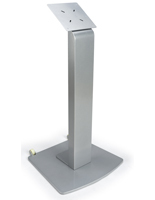 This Monitor Stand Features a Satin Silver Finish that Matches Any Interior Atmosphere! View Our Entire Inventory Online Today! 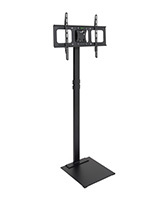 LCD TV stand can hold a 42" to 60" LCD television weighing up to 80 lbs. Large base provides stability for interactive kiosk. Satin silver finish blends in with virtually any setting. 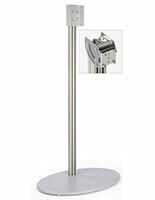 This interactive kiosk, inexpensive monitor stand designed for 70" televisions is sold in bulk. This rugged television stand has six rubber feet on the base of the display. These feet help prevent markings on the floor, as well as keep the stand stable while in place. 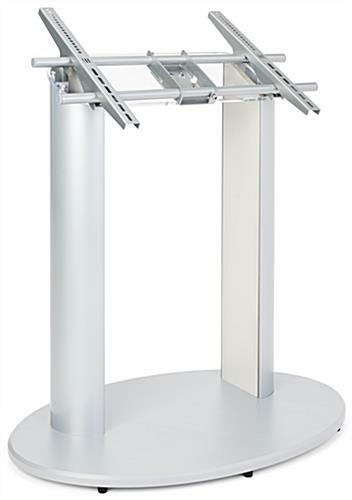 A monitor stand has a satin silver color to easily blend in with almost any setting. 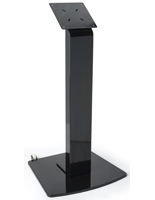 The monitor stand is also made of durable materials that hold up well even in heavily trafficked locations. 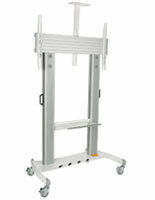 We ship this monitor stand out assembled for ease of use, you only need to mount your monitor with simple tools! 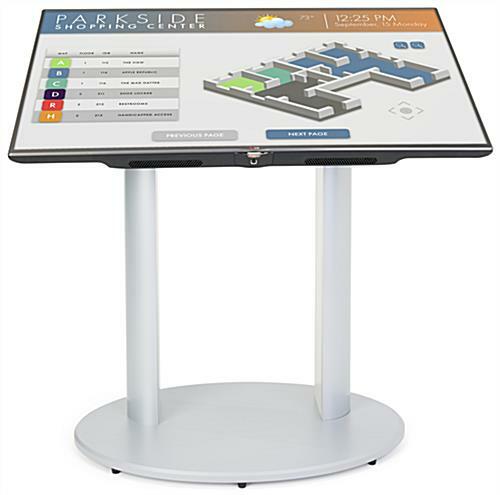 An LCD kiosk, monitor stand is typically used in malls, office buildings and hospitals for providing information about services and locations. 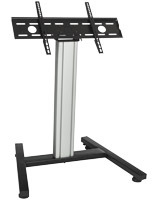 A monitor stand uses a VESA LG bracket to hold a 42" to 60" LCD or plasma television weighing up to 80 lbs. VESA brackets have been designed alongside manufacturers to fit most plasma and LCD televisions including those made by LG and Samsung. 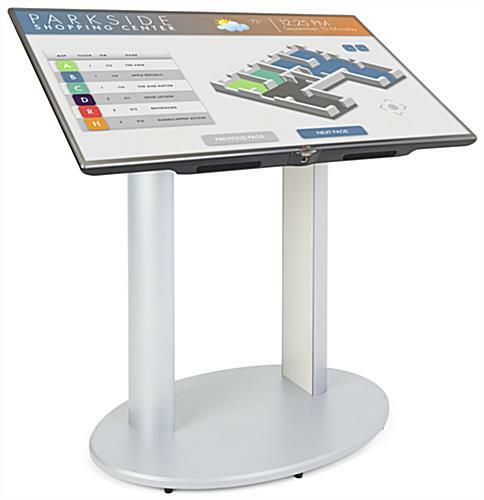 This monitor stand, also known as a plasma kiosk and an interactive lobby directory, includes the necessary hardware to attach your television; however, some may require other screws you can purchase at your local hardware store. 37.4" x 38.5" x 24.0"